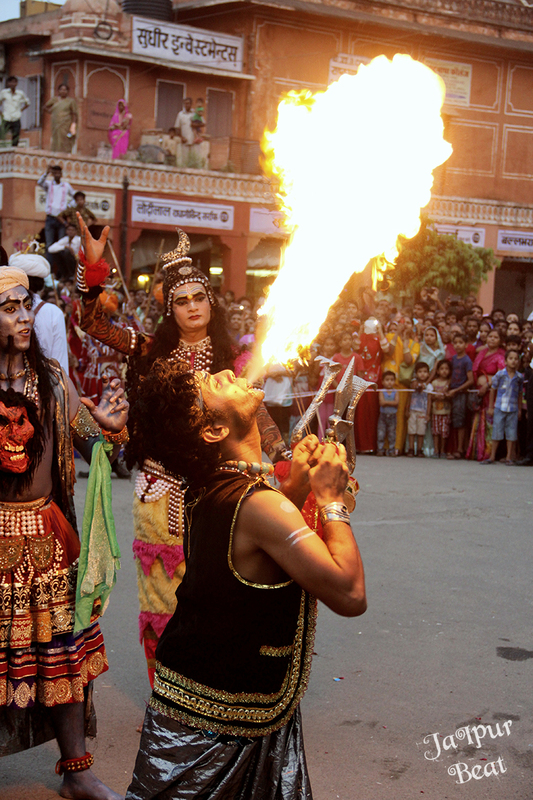 Sawan Month, is one of the holiest Hindu months and is dedicated to Lord Shiva in North India. The month is filled with auspicious days and numerous rituals. 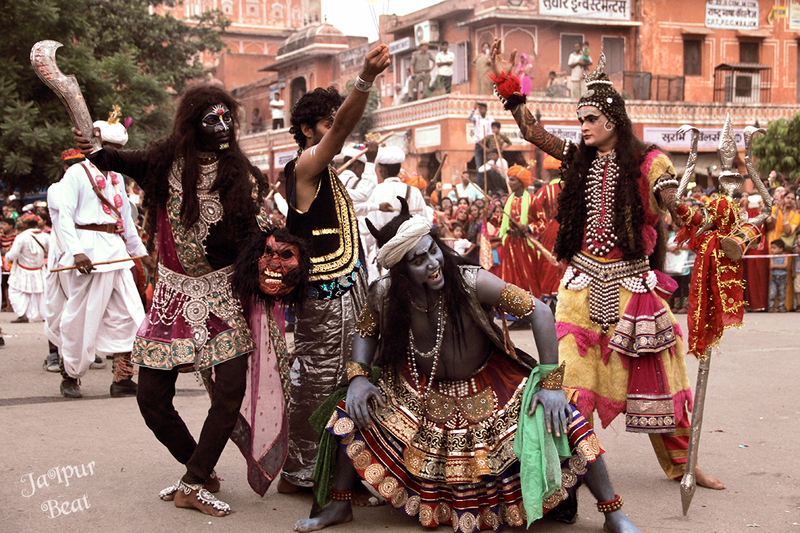 The famous Teej festival is also observed in this sacred month. 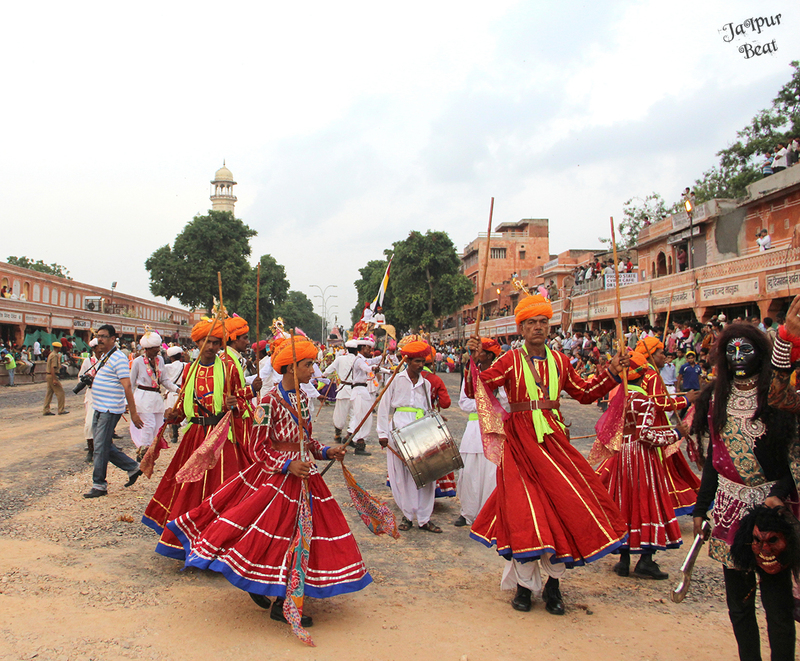 Teej Festival though, is fêted all over the state, but celebrated at its colorful best in Jaipur. The festival is celebrated to welcome the advent of monsoon, also dedicated to Goddess Parvati and commemorates the day when she was united with Lord Shiva after a penance of a hundred years. 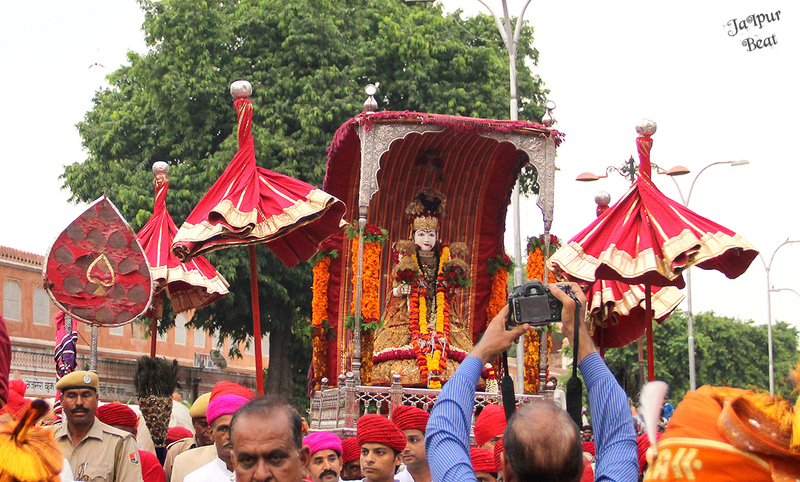 The mesmerizing procession of Goddess Parvati winds magnificently through the Old City of Jaipur via Tripoliya Gate (City Palace) Tripoliya Bazar and Gangauri Bazar with chariots, decorated camels, dancing folk artists, brass bands and royal palanquins for two days i.e 17th & 18th August, 2015. 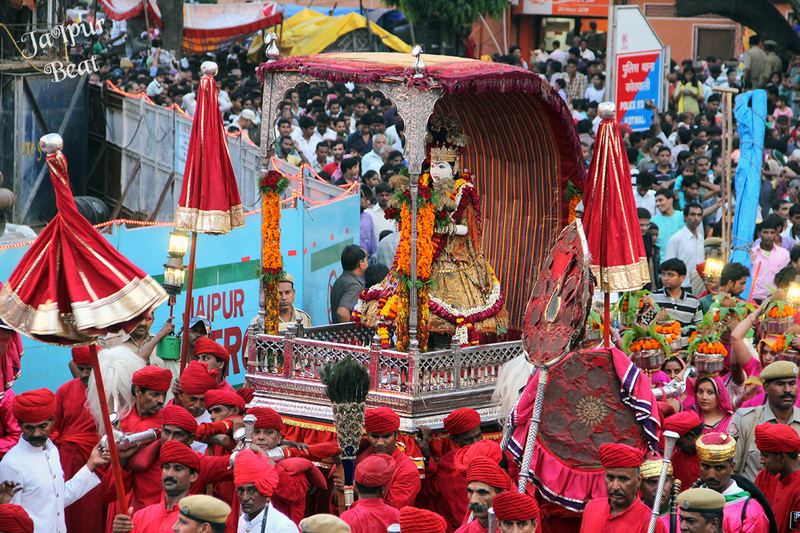 The traditional procession of Goddess Teej is also the ultimate hub of a large number of folk and cultural programs which is enjoyed by both locals as well as tourists visiting the city during this time. 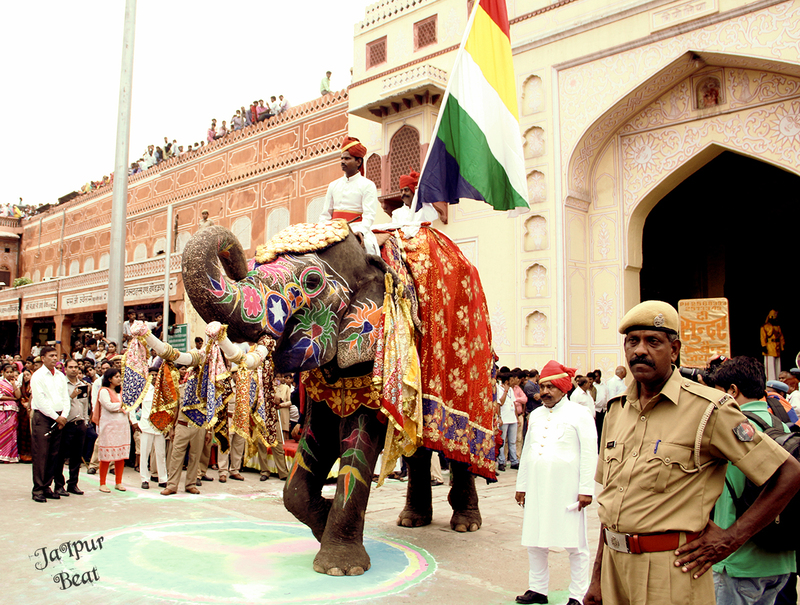 The entire Teej procession is filled with loads of merriment which is not to be missed if you are in Jaipur. Tip- The government of Rajasthan state arranges a special seating area for foreign tourists, for comfortable viewing and to photograph the procession from the terrace of the Hind Hotel opposite Tripoliya gate.